Are you just starting your own company or are you suddenly in charge of managing all the financial records of the SME business? No worries, we have the best accounting templates for your situation! This accounting journal in Microsoft Excel is specially made for Small and medium-sized enterprises is a simple but professional accounting worksheet that allows you to easily keep track of each of the steps in the accounting process. This Excel accounting journal template includes each step with separate sections for their debits and credits, and pre-built formulas to calculate the total balances for each column. It is ready to be printed on A4-size. Nice formatted and ready to print. Easy to customize to your business style. Feel free to edit and change the formulas to your need. Using our financial and accounting templates guarantees you will save time, cost and efforts! 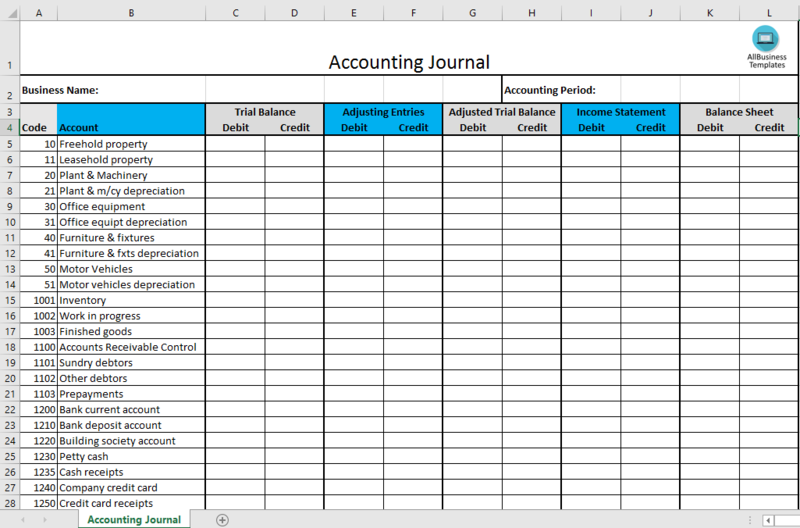 Download this Accounting Journal Excel template and after downloading you can craft and customize every detail of its appearance very quickly.